The result? The most alive overdrive you have ever heard, a pedal that defines all that is magic about overdriven sounds and a pedal that responds to your playing in dynamic and ultra-musical ways. 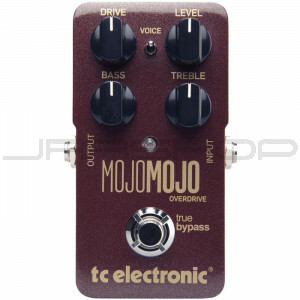 It cleans up when you want it to and when you really dig in, MojoMojo Overdrive is right there with you. The word ‘pedal' doesn't even begin to describe this little box of wonder, it needs to be tried to be believed.